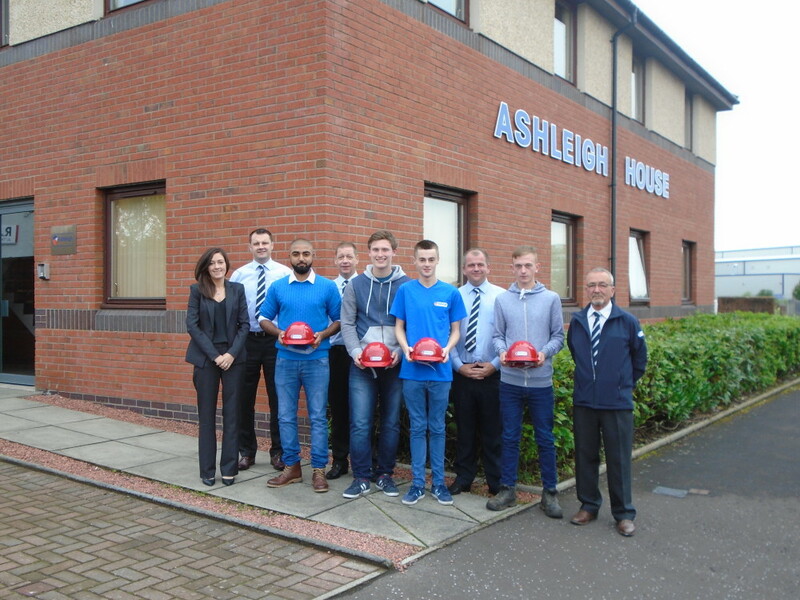 Ashleigh Building’s continued investment in our Apprenticeship Programme has seen the recruitment of four new trade apprentices from Ayrshire and Glasgow. Moiz Baig, Scott Nelson, Robert McKie and Ryan Downie participated in their induction today at our Prestwick Office and start this week. Pictured below with Joint Managing Director, David Smith, Contracts Managers, Colin Pyke, David Roan, Roy Walker, and Contracts Co-Ordinator, Lynn Boyce. We wish them luck in their new careers.